Autografts come from the patient’s body and allografts come from a donor. Some studies indicate that allografts are used approximately 80% of the time for a revision (“re-do”) surgery. Hamstring autografts are more prone to failure than the B-PT-B autografts. Rehabilitation time for any of these grafts is usually 9-12 months. Seek the treatment of a skilled Physical Therapist when trying to rehabilitate your reconstructed knee. ACL tears are one of the most common knee injuries. 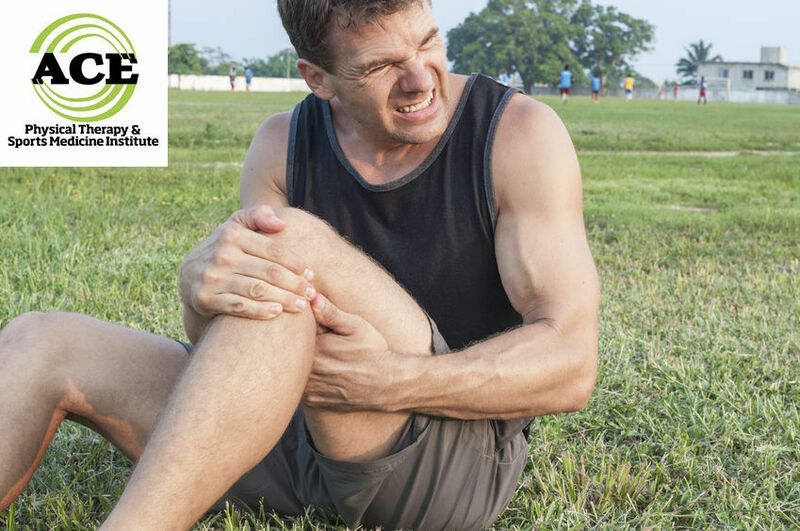 Many people suffer ACL injuries during high-impact sports such as basketball, football, soccer, skiing, and gymnastics, but you could also suffer a tear as a result of falling, losing your balance on a step or curb, or stepping in a hole. The sudden impact or dramatic shifting in direction can result in an injury. For many injuries, Anterior Cruciate Ligament (ACL) is essential, and this will involve some form of tissue graft (allograft or autograft). Recovering from ACL reconstruction requires an extended rehabilitation period, and many patients can accidently reinjure the ACL by not following proper rehabilitation protocols. When facing ACL reconstruction, it is essential to under the differences in the type of grafts: allograft or autograft. It is also vital to work with a Physical Therapist to assure proper steps toward full rehabilitation. The Allograft is taken from a donor or a cadaver. It is used predominantly in patients that are 40 years of age and older. This type of graft can lessen the intensity of some of the post op symptoms and can speed up the return to normal functional levels for activities of daily living. The graft is donated therefore there is no need to “harvest” the graft tissue from the patient’s body. Patient must still be cautious. In many instances, the lack of pain and swelling give the patient a false sense of well being and begin to believing that the knee is recovering at a remarkable pace. If patients are not educated and reminded about the true “biology” behind the graft, they might cause new damage. The graft is not living tissue and takes a very long time (9-18 months) to be incorporated into the patient’s body. The incorporation process includes full vascularity and neural innervation of the graft tissue. The body’s immune system begins a response that slows down the incorporation process. The graft is not at its strongest until it is incorporated therefore, these grafts are the most common to fail. If the graft tissue stretches or ruptures, the stability that it offered to the joint is lost. The failure rate has been shown to be substantially higher in the younger population (< 35 years of age) compared to the other type of graft, autograft. The Autograft is taken from the patient’s body and has been the primary type of graft used in patients that have deficient Anterior Cruciate Ligaments. The graft is “harvested” from the patient’s body, therefore it is “live” tissue that is native to the patient. The immune response does not occur and the incorporation process occurs significantly more quickly than the allograft. The autograft is used almost exclusively in the younger or more athletic population. The surgeon determines if they will use the Patella Tendon in the form of a bone- patella tendon-bone (B-PT-B) graft or a soft tissue graft. The most common soft tissue graft that is used at this time is the combination of the Semitendinosus and Gracilis tendons. The combination of the two tendons makes the graft the proper diameter size in most cases. One of the major disadvantages of the soft tissue graft is the need for a different type of “anchoring system” that is required to hold it in the osseous tunnel during the first 6-8 weeks of the rehabilitation process. The advancement in “anchoring system” technology has been drastic and has reduced many of the complications and fears that were associated with them several years ago. The soft tissue, autograft has been linked to a higher frequency of re-ruptures of the graft site. Some propose the size of the graft renders it weaker than the B-PT-B graft and due to the fact that it is used in the younger population they might be doing activities that are too aggressive for the graft site. Empirically the hamstring/soft tissue graft produces less pain during the rehabilitation process and less quadriceps atrophy. The lack of pain and atrophy during the rehabilitation process might give the patient a false feeling of security with the knee. If a patient feels “good” about the knee, there might an attempt to perform very high level and challenging activities prior to time needed for the new soft tissue graft to be fully incorporated the knee joint. The decision to use an autograft or allograft is determined by the surgeon and patient. The surgeon must account for the patient’s age, current and future activity level and previous medical history dealing with the involved knee. Regardless of the graft type chosen for the reconstruction surgery, the patient will have to participate in a formal Physical Therapy rehabilitation program for several months. The program will focus on reducing the post-surgical symptoms, and then transition to incorporating exercises that will enable the patient to return to full activity. There is a strong focus on maintaining full extension following the surgery. If the knee is flexed for a prolonged time (slight flexion is more comfortable most times), the patient might develop a flexion contracture. The entire rehabilitation process will take 9-12 months prior to the patient’s full return to pre-injury condition and activities. ACL reconstruction surgery has advanced significantly over the past 20 years. The choice of graft plays an important role in the final outcome of the surgical procedure. Autografts are more common and can allow the younger or more athletic patient the opportunity to return to pre-injury status with less fear of suffering a re-occurring ACL injury. The allograft is used predominantly in the older, less active patient population or as a graft choice for a revision (“re-do”) ACL reconstruction. It is capable of providing ACL stability to the joint but without traumatic surgery that is required to “harvest” a graft for the autograft. The rehabilitation process is relatively the same and will require most patients 9-12 months minimum to return to full, pre-injury activity level.